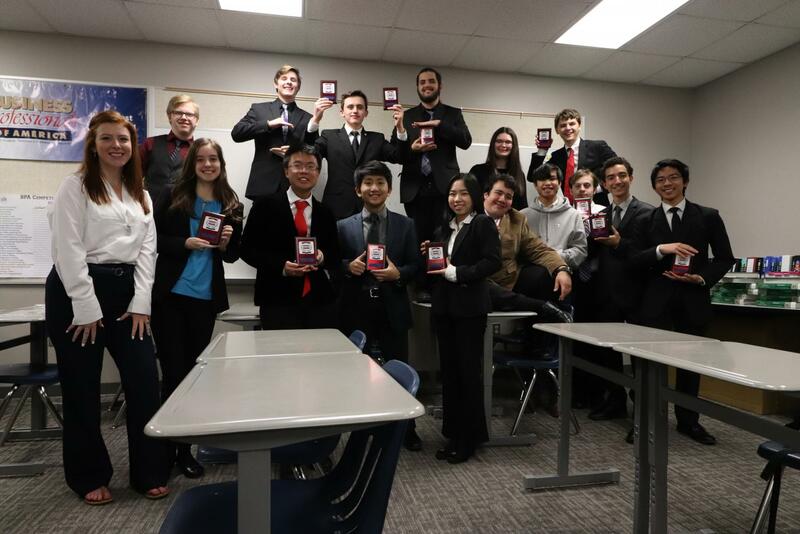 Top of the class \\ Business Professionals of America students placed fifth at the Regional Leadership Conference at Reedy High School Jan. 19.
Business Professionals of America attended the Regional Leadership Conference at Reedy High School Jan. 19. Out of 25 regional schools, BPA placed fifth after 20 students participated. They came home with 12 awards. Students are given two months of prep time before the competition for each event. In BPA, students gain professional experience, leadership and technological skills for future careers. The next BPA event is in Dallas for the state leadership conference March 6-9. Interested in BPA? Go see Mr. James Hood in room 117.